The Hook Bill Duck, or simply ‘Hookbill’, is a breed of domestic duck originating in the Netherlands that got its name from the aquiline-nosed beaks. 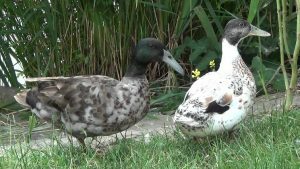 They are the oldest Domestic Waterfowl breed in Europe and have a history of over four centuries. This duck had traditionally been raised alongside canals in the Netherlands. Presently, they are an endangered breed, with only 250-400 breeding individuals left. The population is growing in a very slow pace. Diet Good foragers feeding on slugs and snails, crustaceans, insects, etc. Nobody really knows where this waterfowl came from, however, the first documented evidence of these birds dates back to 1678, in Willughby’s Ornithology. According to the description, it seems like the bird described therein is the Hook Bill Duck itself. It says that, the bird is ‘very much like the common duck, except for its bills’, which is ‘wide, slightly longer, and bending moderately downwards’ than the common duck’s. Their head has also been described as lesser and slenderer, and that, it is a ‘better layer’. In 1902, author Harrison Weir in his book described that, these duck has an oriental origin, citing India. Van Gink, a historian from Holland also said that, these birds came from Far East. Dutch people also accepted that, the Hookbills most probably originated in East Asia, from where they reached the Netherlands by Dutch seafarers. In Holland, they were popular domestic ducks in the past, while the owners would release the birds in the morning. The bird has an excellent capability to fly, and they would visit far-off places in search of food, and return back before dusk. This made them very economical to rear. This breed was not much popular in the United Kingdom. 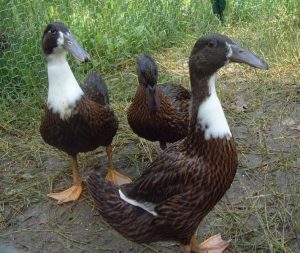 However, in the 1980s, they were promoted along with other duck breeds by the duck fanciers. In 2000, the duck was exported to North America; however, it has not yet been admitted to the Standard of Perfection of the American Poultry Association. The female Hook-bill Ducks are good layers, and they hatch best if they are brooded, rather than incubated. They can lay about 100 to 120 eggs each year, which often increases to even 200, provided the individual is not overly inbred. The eggs are large and bluish in color. The average weight of each egg is 60g. It takes 28 days for the ducklings to hatch out. Charles Darwin described Hook Bill ducks in his books, and even kept them in his backyard pond. 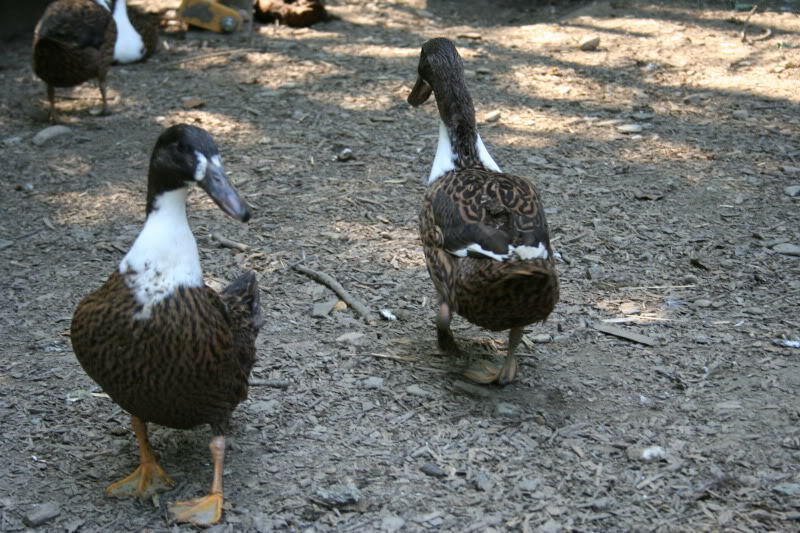 The legs of these birds are not set as squarely like in the mallard ducks. This feature has given them their characteristic ‘funny walk’.